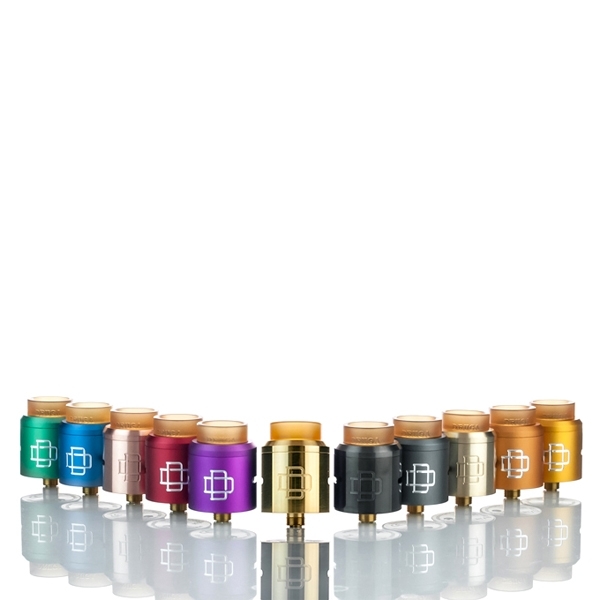 Augvape’s Druga RDA is a visually impressive rebuildable dripping atomizer with a full 24K Gold Plated deck and base alongside a convenient and build friendly Clamp Snag System. 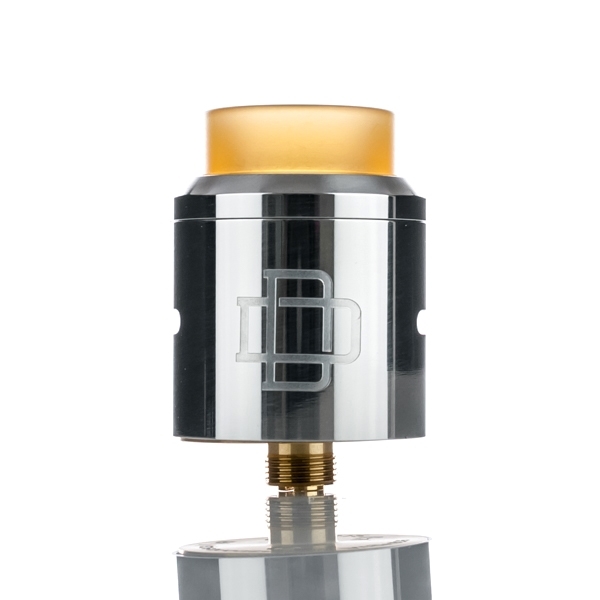 The Druga RDA measures 24mm in diameter with a 20mm deck diameter, with a well balanced profile that emphasizes exterior simplicity. Inside, the Druga’s build deck is fully 24K Gold Plated to present a visually stunning look while improving performance through higher conductivity. The two post build deck is arranged in a unique Clamp Snag System that features a large knurled thumb screw per post and a single 2.5mm by 3mm slot space per post. 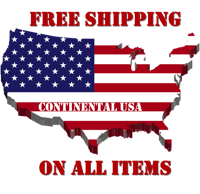 This allows for toolless adjustment and tightening as well as allowing for extra large coil leads. The juice well of the deck measures 6mm deep. 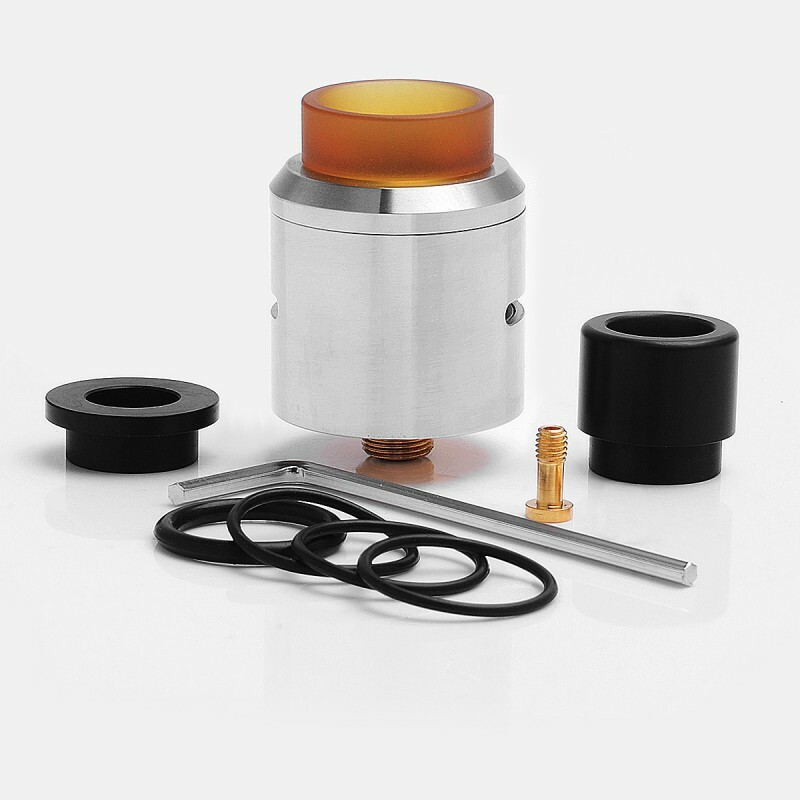 Airflow enters through dual airslots measuring 12mm by 2mm each and can be adjusted via the top air cap. 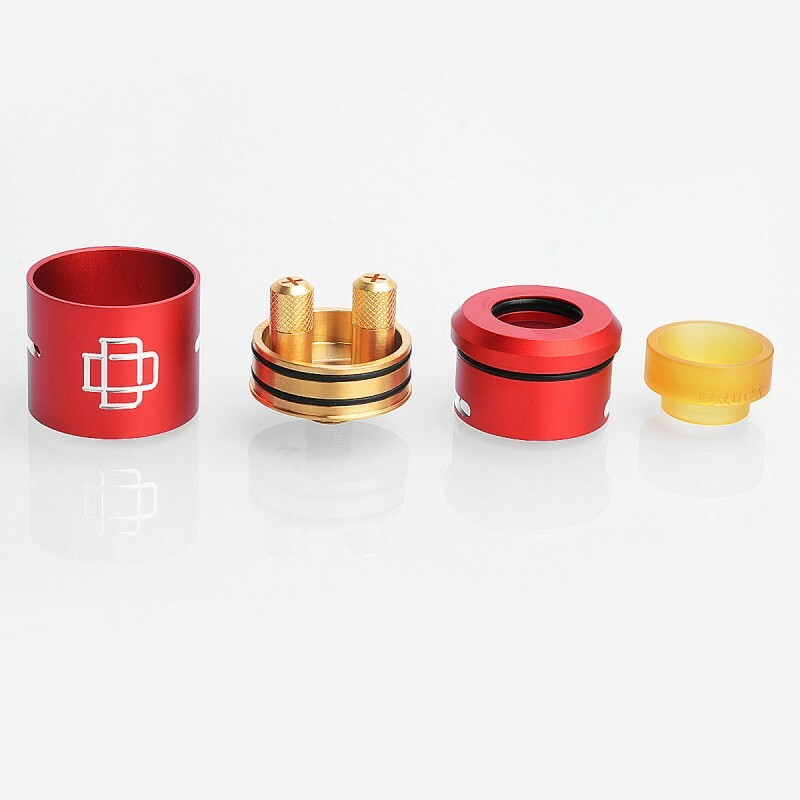 The Augvape Druga utilizes a 810 drip tip fitment and includes an ULTEM and a delrin drip tip. 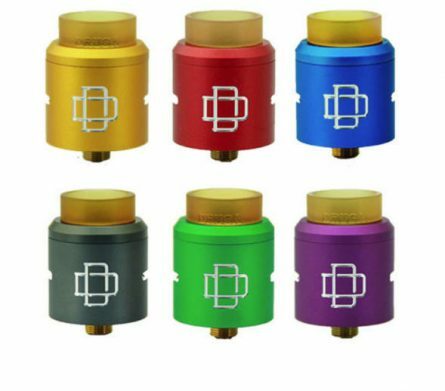 Presenting a clean, highly functional system with quality machining and manufacturing, the Augvape Druga 24mm RDA is an excellent performance RDA at a highly competitive price.